As an English learner, Ted talks have somehow become my best friend. They have helped me a lot with my English learning. So what are TED talks? Ted talks are inspiring and influential videos on various topics that the world’s greatest thinkers and leaders share at TED Conference (Technology, Entertainment, Design). Watching TED Talks every day will not only improve your listening skills but also provide you with new perspectives on your life and the world around you. In this post, I’d like to share with you 5 Inspiring TED Talks about language learning. Let’s see what they are! Christopher John Lonsdale is a New Zealand psychologist, linguist, and educator. In the Ted Talk, he discusses 5 principles and 7 actions that can help you improve your language learning and become fluent in the target language in 6 months. Here is a summary of the principles and actions that Christopher pointed out in the talk. Use your new language as a tool to communicate, right from Day 1. When you first understand the message, you unconsciously acquire the language. Instead of trying to understand the words that someone is talking to you, try to understand what message they are trying to deliver (through their gestures, facial expressions, body language… which are comprehensible input). Your psychological state matters. You need to be tolerant of ambiguity. Start mixing. Look for ways to mix every word you know. Language is a creative process. + Work hard to understand what you’re trying to say. + Not correct your mistakes. + Confirm understanding by using correct language. + Use words that you know and also communicate with gestures and body language. Timothy Doner is currently a Harvard student, but at the time he delivered the speech at TEDx, Tim was just a 17-year-old boy. The young man gained notoriety for the ability to speak 20 languages. In this inspiring talk, Tim shares with us his experiences of learning new languages and shows us how to break the barrier between languages. Watch the video to understand better how Tim became fluent in various languages and get inspired to learn new languages. 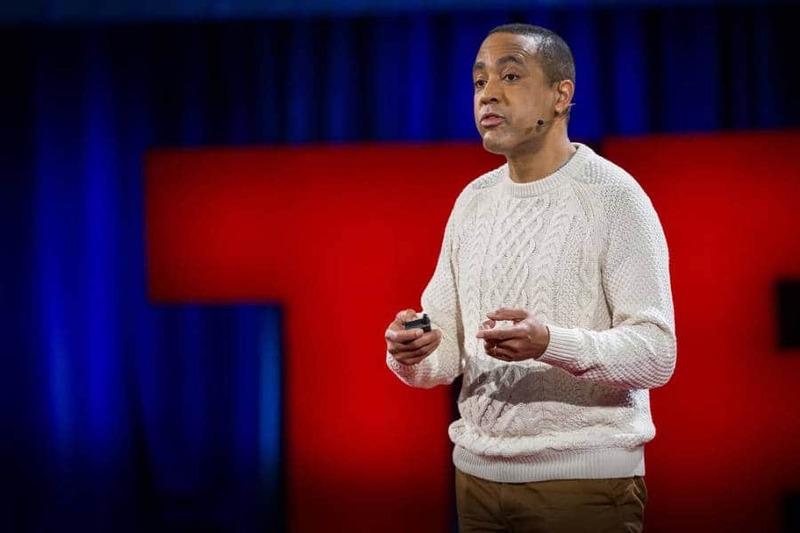 In this talk, Linguist and Columbia professor John McWhorter shares four benefits of learning a new language. Languages are tickets if you want to venture into new cultures where people speak them. Learning languages is healthy. It helps us to become a multi-tasker and also prevents dementia. Learning languages is now easier than ever before. Sid Efromovich is a hyperpolyglot who can speak seven languages. In this TEDx talk he shares 5 techniques to help us learn to speak new languages. In the talk, Benny Lewis shares his aspects of why he fails at his first attempt to learn Spanish. Besides, he discussed some commonly used reasons why adults don’t learn a new language. No language gene or talent. Too old to learn a second language. Can’t travel to the country where their target language is spoken. Afraid that they’re going to frustrate native speakers. You can also look at Benny’s blog to learn more about his language learning experiences here. There are thousands of brilliant TED talks that will definitely brighten your life. You can make them part of your everyday routine. Trust me, spending 20 minutes a day watching TED talks is totally worth it! Share with us your favorite Ted talks about language learning! Don’t just watch them! You can definitely learn tons of new words while watching those videos. 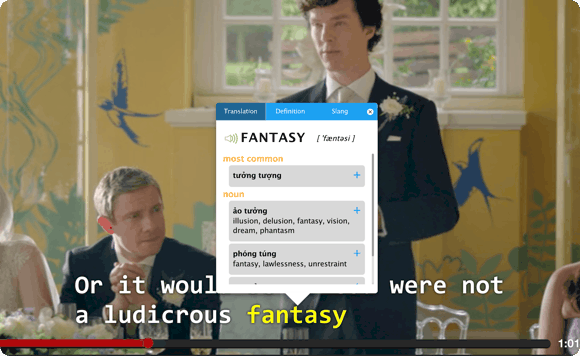 Just download eJOY eXtension to learn English on Youtube now. This extension is a tool that helps you look up new words, save them to your wordbooks so that you can review them in the future. What’s more, eJOY eXtension allows you to play many interesting word games. Isn’t it cool? Watch. Learn. And get inspired now!